From my point of view it's a total nonsense or a person's mental problems. So far I've seen thumbs down on videos of kids playing or Paul Barton's etc. If that's a total crap (and the author can easily notice that) then fine, it can say "your video is unwatchable" but these videos are often quite fine and who cares about the voter's personal taste for something else? And for God's sake you judge kids playing by how you should play once you mature and learn it well? You don't like it - go away. 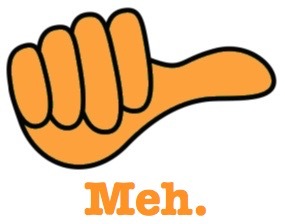 Why do you give thumbs down? Most of them don't even leave any comments. So that's no learning experience for the author whatsoever. I agree with you 100%. People also seem to thumb down if they don't like the piece, regardless of how good the interpretation was. I do not believe you understand the coding and how the algorhythms work. The videos thumb up and thumb down help with several things including "training" a user account for suggested content. Utilizing the thumb down allows a user to tell google/youtube they dont like or that the content is wrong for them. Over time it allows for more accurate and target/specific related and similar content to appear on a person's feed. And it also gives youtube user input for advertising. It is a business tool so do not take it so seriously. Also for content creators with large subscriber bases or those looking to grow [ie so more advertising revenue can generated etc], or for hobby content creators, it allows for targeted feedback by hundreds or thousands without having to spend valuable hours and hours or pay someone for hours of work reading and logging comments and comment trends. If a channel host wants to try something new, either in content, presentatiom style or format, thumb down can let them know what works. So more new content carered to their existing base and new potential subscribers can be created. It is just an analytics tool, one of many that youtube and content creators can use to run and grow their business more effectively. Btw you turn it on or off in the admin menu when creating an upload. Dont try and read too much into it. I find it useful for tailoring my feed to my interests so my landing page suggests relevant content to me and helps me find new channels i like which is sort of the whole point. And with millions of users and large batchetadata the trends create allow for effective segmentstion of the user base which helps when they sell the ads. The videos thumb up and thumb down help with several things including "training" a user account for suggested content. Lol, NO. I mean single thumbs down happen but it wasn't about it. I don't think my playing is so superb that nobody should vote it down However, it would probably be helpful to see a comment but I guess I can live without it anyway. But it hurts me a bit when I see those kids who need to use their new gained knowledge and instead they get downvoted. And I don't get when people downvote Josh W. or Paul B. It just doesn't make sense. Funny that people think everything's about emotions not reason. Well, I guess that would explain why they downvote videos. I don't think that's how it works, Visitor. Youtube suggests stuff based on your searches and how long you watched it and how many related videos you watched etc. Thumbs up/down might have a bit to do with it but I assure you that most content creators will interpret the thumbs personally, and youtube is very aware of this. For suggestions there are options in the vein of "I'm not interested in this" that you can select where they suggest videos for you. It doesn't make sense to give a user thumbs down if it doesn't fit your need if they didn't try to fit your need, thus the thumbs should only be used to show how you appreciate the quality of the content. I mean I don't care if it's a kid or a grown dude if I don't like the content I'm not gonna up vote it. Kids don't get special treatment from me. It's good to learn rejection and failure at a young age anyways. A thumbs down is hardly a rejection or a failure anyways. You don't have one-end choice, do you? You don't have either to upvote or downvote, right? "Good to learn rejection and failure" - yeah that's nicely put. You can also add "one's responsible for their own emotions" and would you like maybe to extend to that "that's why domestic violence is fine"? Or maybe rather not? What I mean is that you're being so selfish in this just justifying your own ends and not even thinking about others. It doesn't happen that way that by rejecting the kid s/he learns how to cope with it. S/he first needs to get wise parents and you just don't know if they have. So take the reponsibility for your actions and stop justifying this in such a way like you're almost saying they should thank your that. You're absolutely right. I don't care about the other kid. You put the video on YouTube so you have to be prepared to deal with criticism and people not liking your videos. If you're gonna be a crybaby about it, don't post the video. Problem solved. And I think there's an option to disable comments and thumbs up/thumbs down no? Take responsibility for my actions? ? So I'm responsible for how the kid feels because of one down vote? Is he gonna kill himself??? Am I missing something here? Lmao that's so stupid. No kid is gonna be upset about a down vote. And THAT IS how it works. You don't need good parents to know how to deal with failure. You deal with failure by experiencing failure. And HOW IN THE WORLD did you bring domestic violence into this? ? You're reaching MEGA hard dude. If you say you don't care about other ppl emotions (but in fact you're just showing yours by the rating system) it sounds emotional. By using emotions we usually can't use the reason in the very moment. It's different with empathy where you can still think clearly. If you say you don't care about the emotions of other ppl you can abuse them emotionally as well, saying that's their problem not yours. This is how domestic violence forms. It is not only being beaten but also being a subject to toxic emotions. People subjected to such emotions usually drown in them, not learn how to deal with it. The same goes for war witnesses. Are they getting more healthy by experiencing the cruelty of war? And you argue that your cruelty and rejecting is beneficial for children. I assure you, they would have better occassion to learn it. The second one is that it still sounds silly. "I don't like it so I'm not gonna pretend otherwise". Well, congratulations then. How did you ever get to a kid's practicing video if you're looking for a real performer? You rate the kid for your own disability in findingg a proper content suitable for you? I didn't want to discuss your right to upvote or downvote, I discussed only your reason for that. And for me, even if I accept your right to do it in the end, it still souds somehow awkward. I hope this differentiation is clear. Well, this might be tricky but then you can still ask somebody else if you're not sure or you know already that this isn't something to take into consideration. At least it would be clear enough to decide your next steps. This has absolutely nothing to do with domestic violence, war, or emotional abuse. A downvote/failure ISNT THE SAME THING AS CRUELTY. It's just downvote! NOBODY CARES. You're reaching really far. There's no other way to deal with failure besides experiencing failure. You lose a basketball game, you cry, you get over it big deal. You don't need parental guidance for that it's a part of life. Stop making it so complicated and trying to compare it to war it's not the same thing. Where did I say I only down vote all kids videos? If I like the video FOR WHATEVER REASON I'll up vote it. If I don't like the video FOR WHATEVER REASON I'll down vote it. When you post a video on YouTube you're literally asking people/giving the option to comment/like/dislike. So you have to DEAL with it. If the family or the kid has such a big problem with that then don't post the video on YouTube problem solved. Unless if it's cyberbullying that's a different story You can't judge people for choosing what they like or dislike. If they can't deal with it, that doesn't make me a bad person, that makes them too sensitive and they shouldn't be on YouTube in the first place. Now don't you dare compare that to domestic violence. ITS NOT THE SAME THING. Someone's inability to deal with someone else expressing an opinion in no way relates to someone getting beat up or verbally abused by her husband/wife. There's no other way to deal with failure besides experiencing failure. You lose a basketball game, you cry, you get over it big deal. You don't need parental guidance for that it's a part of life. Stop making it so complicated and trying to compare it to war it's not the same thing. Except that your private opinion (which doesn't even match their actual level and progress in practice) is NOT their failure. It's yours and you insist to present it as theirs. For me in general this isn't very far from being toxic. Don't tell me what my private opinion is. I didn't tell you what it is, so you can't claim that it doesn't match their level or progress. I'm not down voting the kid to spite him. I'm down voting the video because I don't like it. It's nothing personal. Besides THEY POSTED THE VIDEO. If you ask me for my opinion and don't like it, too bad get over it. You shouldn't have asked me (posted the video) in the first place. You FAILED to convince me to like the video. It's not a big deal. Technically I guess it is still a failure, but a down vote is so small nobody really cares. If it makes you upset get over it. What you're saying IS NOT how life works. There you go reaching again. How in the world is down voting a video far from being toxic? The kid doesn't even know me! He probably doesn't even care! you (and the parents) probably care more than the kid. If you honestly believe down voting a video isn't far from abuse, then you have NO IDEA what abuse is. There are some piano vids which have immense numbers of likes/views and the playing really is mediocre (one from the top of my head is of some dude playing a piano at the airport). The internet although vast is very unreliable for judging works, even on TripAdvisor or other review websites the feedback can't always be trusted (since you can pay for good reviews). I visited a restaraunt in Singapore which was like no 10 of 10,000+ restaraunts based on online reviews, I had huge expectations only for them to come crumbling down. Id say many people thumbs down because a performance is not on par or is worse than their favorite performance of the work, they are very narrow minded. I don't even look at the thumbs up or down when watching art anymore since it is utterly meaningless, my own appreciation is what is important, I don't need to be told what to think. Thumps Up or Down have nothing to do with how good you are! It is nothing more than Tinder Swiping. I actually find it a bit odd that people do put themselves on the internet to be critiqued and judged..(rate my face..ask me anything and sites like that) cause common sense says you'll get half the crackpots in the world tearing strips off you. I heard a lecture once about how it's part of a bigger problem now in society..we are becoming disengaged with real emotion and feelings as everyone puts everything online and sells a version of themselves (instagram or vlogs) they lay everything bare, and the public can see them as fair game for critique and ridicule. Now I don't know these people, they don't know me so I wasn't overly offended however, as I had put myself 'out there' and bared my soul for a question..It did feel quite personal and I suppose slightly hurtful. But then I reminded myself it was probably some guy hating his life that would never have the guts to say something to your face, so he hides behind his computer and posts angry messages..lol.. I just wish people were generally nicer to each other, there's a lot of sh*t in the world without encouraging negativity. That's kinda odd usually the older generation calls us millenielenelilielials a bunch a whimps that are offended by everything. Hey I don't troll I'm serious about everything I say!!! I think the example of your forum experience is different. The dude made a mean comment that wasn't related to the post. And even if it was related to the post, I think you should only address the topic without going out of your way to make it seem nicer or meaner than it has to be. THAT isn't cool and I don't think that's the same thing as a down vote. Haven't got much to say about music, but it is VERY important to me if it's about solving a problem. When my game gets some error and I want to know how to fix it, I IMMEDIATELY check the video's rating as soon as I open it. This way I know if the solution will actually work. As for the music, yeah, it might be non-constructive, but there's always the option to disable ratings, as BachScholar does. Its just a symbol - stay calm! It doesn't matter. People thumb down a video for any reason. Sometimes it has nothing to do with the performance.